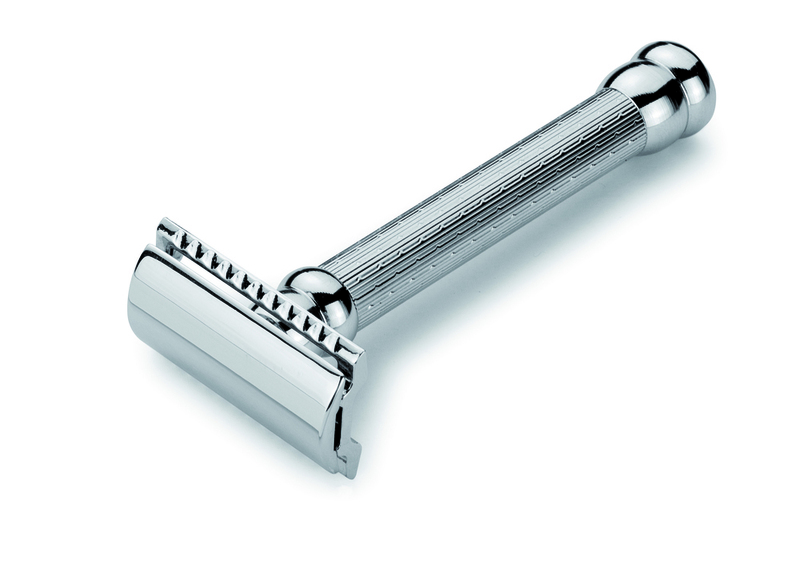 Founded in 1896, the Merkur brand is the mark of quality in the shaving industry. This handsome long handled model has a polished chrome engine turned handle. The longer handle length accommodates a manly grip. Well balanced. Hefty, but not heavy. The safety bar keeps the blade away from your skin, yet close enough to get a smooth, close, comfortable shave..